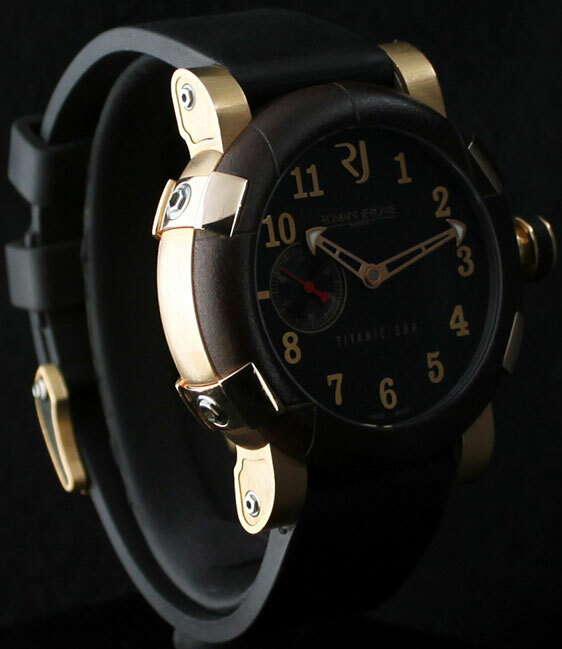 At the height of modern economic prosperity, the watch brand Romain Jerome was a rather strange producer. He manufactured and sold themed golf watches. But most golfers do not want to wear a wristwatch during the game. The owners of the brand asked for help from the famous designer Yvan Arpa. 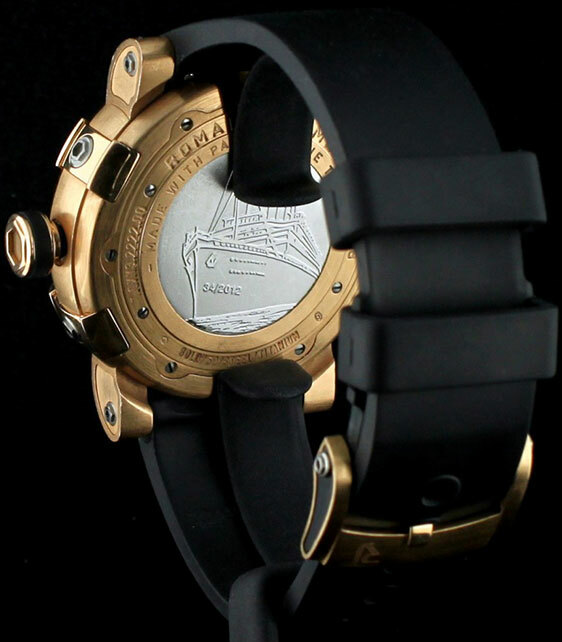 He eventually helped create a watch that combines several things: luxury, rarity and unavailability.. 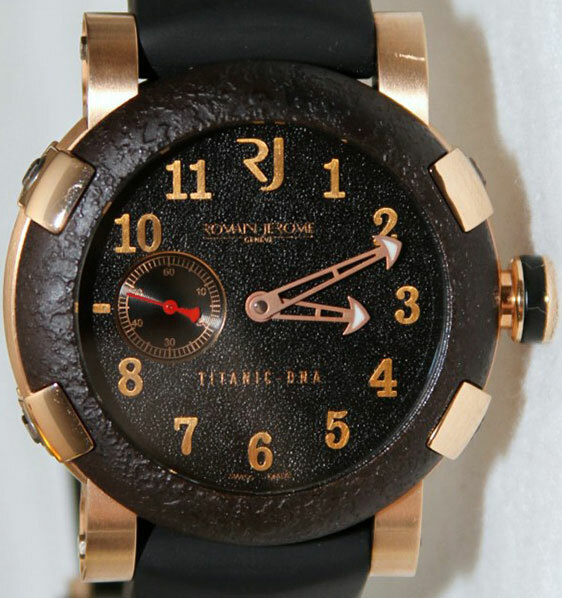 The wristwatch Romain Jerome Titanic DNA T-OXY III allowed Arpe to play with organic decay, and he very much likes to use it in the design, the oxidized metal in this model is used for the front panel of the watch case. There is a reason why the clock is called the Titanic “DNA”. In fact, in the clock there is a small amount of actual metal from the front panel of the Titanic. Roman Jerome personally for several days oxidizes the metal in the water until the appearance of rust. The idea is to remind you of the oxidized metal of a ship deep beneath the water. 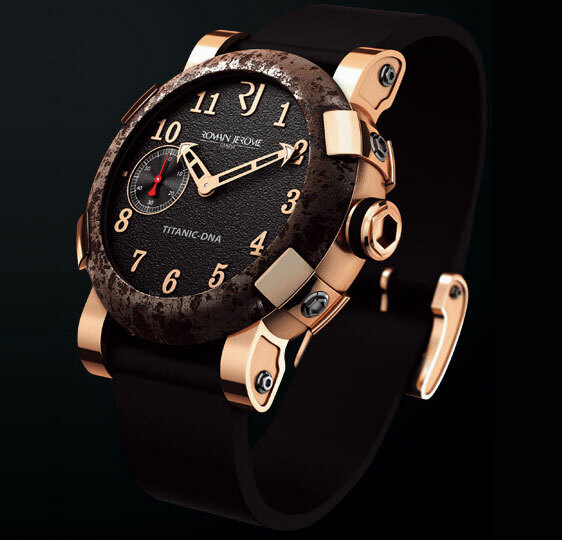 The Romain Jerome Titanic DNA T-OXY III model has a width of 46 mm and a thickness of 15 mm. 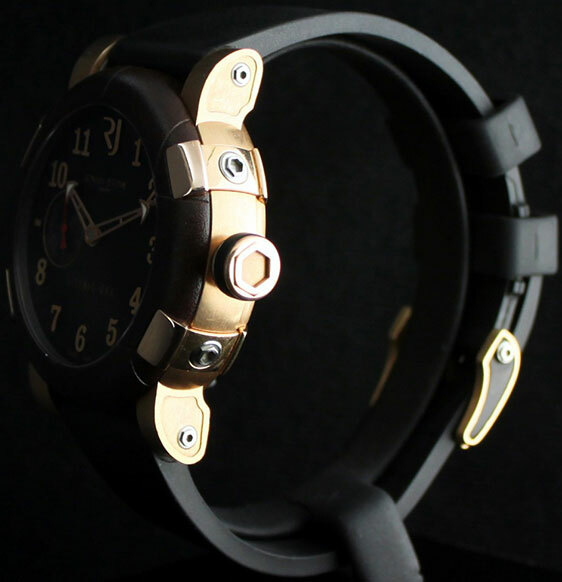 You can see that for many years Romain Jerome Ihas been offering watches in various styles and materials. including steel, gold and ceramics. Although there are a number of small details that make this model even more interesting, they include matte and polished sections. My favorite part is the dial. Arrows are slightly similar to the anchor, they are luminescent Lume coating for good visibility in the dark, on the dial is conveniently located Arabic numerals. The use of red color in a set of auxiliary seconds is a subtle and refined touch. There are also models with a date window. But, nevertheless, I think that a disk without a date is more elegant. At the back of the clock is an engraving of a Titanic ship. 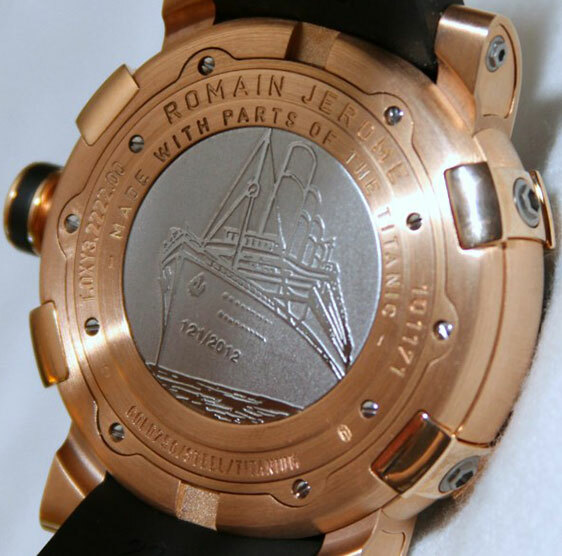 The entire issue of Romain Jerome Titanic DNA T-OXY III is limited to 2012 copies. 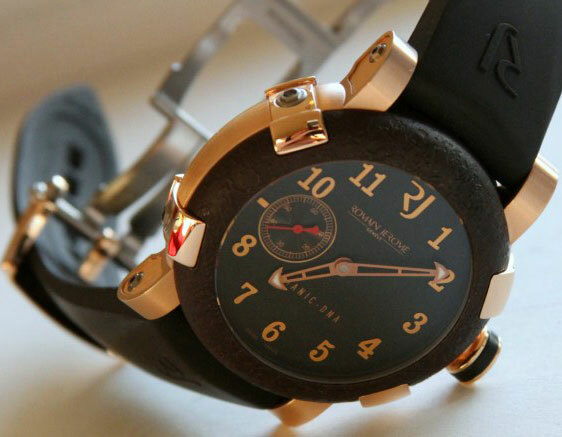 Attached to the watch is a rubber strap with a butterfly clasp assembled from titanium parts and 18-carat red gold. This is done in order to create the impression of a simple standard fastener. But it was more complicated. I like the RJ logo on the titanium part of the clasp. 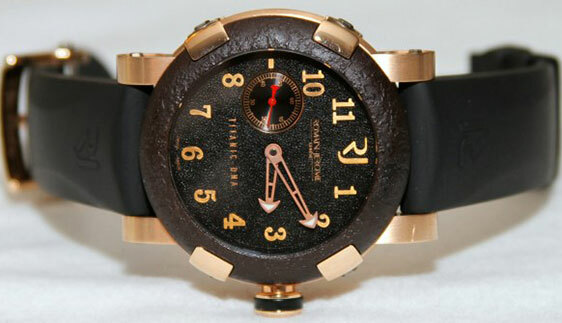 I also think that the watch will look really good with a black alligator or crocodile strap. Inside the watch is a Swiss automatic mechanism Concept caliber C22RJ51. 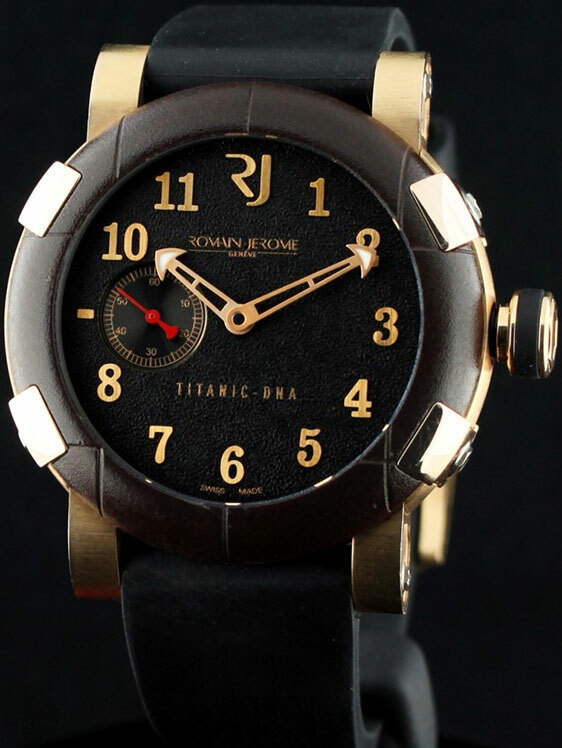 Price of the watch Romain Jerome Titanic DNA T-OXY III of 18-karat red gold is $ 25,000.